I couldn’t actually figure out the first step – I mean, where was I supposed to go? On the internet, people kept advising to go to the main hub in Berlin, somewhere near Friedrichstrasse but my goal was to avoid getting an ADAC translation (which takes a week or so and costs around 60 Euros, I hear). I mean, that seemed like such a waste of money. There is only basic information on my license – address, validity, height, weight, etc. What the heck are you going to translate??! Anyway, it seemed, from what I read, that everyone who went to the main hub had to get a translation. I thought a better strategy would be go to a smaller Bürgeramt. I ended up calling 115 on my cell phone, which connected me to a friendly woman (in German) who helped me make an appointment at the Bürgeramt Märkisches Viertel (all the way out in Reinickendorf). I didn’t want to chance the waiting room. Then I went and got a passport size photo takes (all you need is one). And that was it. I went to the Bürgeramt and there was no one in the waiting room, so the appointment was clearly not necessary. Check the hours though of each Bürgeramt. I needed one open later so I could make it after work and usually they are only open later on Thursdays. I spoke friendly German to the lady. She asked for my Canadian license, my visa that allows me to stay in Germany, my passport, my photo and 35 Euros. She didn’t ask me for a translation or my Anmeldung (registration of address). 10 minutes later we were done and she informed me that my German license would be ready in 8 weeks! I asked if I would be able to keep my Canadian one as I travel often back and forth, and she said I would have to ask when I pick up my license. NOTE: My German is not perfect, but it is pretty decent. I managed to answer her questions and express myself clearly to the Government lady. The people working at the Bürgeramt do not speak English, so you have to speak German or go with someone who can speak for you. Hi! I am so glad I found your blog and wonder if you are still living here in Germany. I am a Canadian but a few years ago became a dual citizen – American – as I had been living there for 15 years working. My husband (American) and I just moved to Germany and have been going through the “adjustment” phase – the most difficult part for me is just dealing with the rudeness/curtness/stoic unwavering faces of people who seem bothered greatly that we are not yet fluent. I came SO excited to learn German and now I am feeling in this rebellious mind set (and I have *never* felt that way in my life) where being forced to do the integration courses and having people talk rudely to me when I smile at them – well – today it has just been too much. I got a job as a substitute teacher at the local International English school and now feel I will have to quit that to do this integration courses and am wondering if you did them and if so what your experience was. 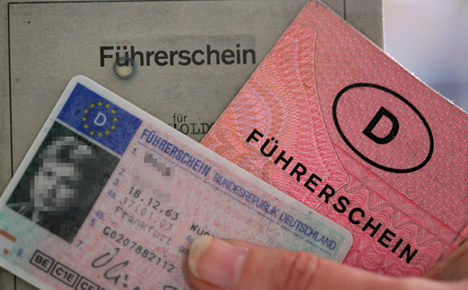 I also am wondering if they ended up allowing you to keep your driver’s license – I am going to research the way to do it with american license but I imagine it will be quite similar to the canadian way and I think it is just a straight exchange hopefully. We are not fluent yet so we will take a friend to help translate for us. My husband is here as a Pastor to start up an English church and I guess his visa says he doesn’t have to take the classes but mine is mandatory to get to B1 level by the end of the 2 year visa I have or they downgrade the visa and only issue it on a one year basis. I honestly at this point don’t care if they sent me home tomorrow and that is saying A LOT because I love to travel, love to learn languages, was so excited to be here and just feel very beaten down by 2 days of dealing with very rude people at the VHS school in two locations and wondering why everything has to be so serious, difficult and with so many road blocks. Sorry for the vent but am hoping maybe you can understand a little bit. Thanks for any support or advice and I look forward to reading your other blog posts.